This wonderful portrait selection of photographer's daughter, Athena, really take us back in time. Each shot has been executed with painstaking attention to detail, from light, through props to post production. Respect to Bill Gekas, and to his little adorable model. Artists around the world have long been inspired by the works of Old Masters like Rembrandt, Raphael and Vermeer. Emulating their style has never been easy, especially in photography. 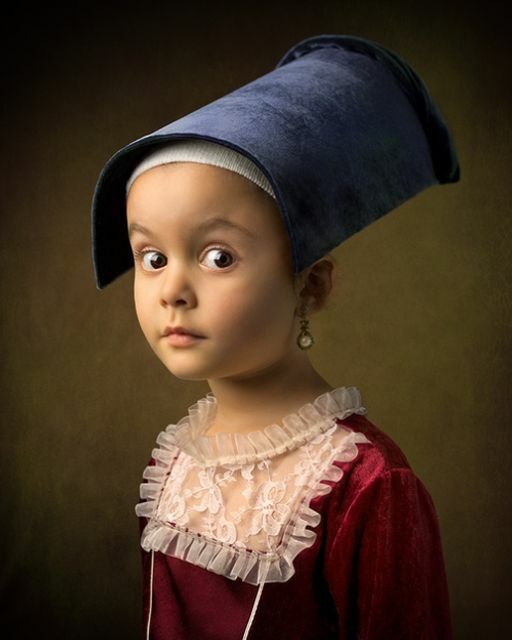 When Australian photographer Bill Gekas wanted to recreate the style through his photographs, he chose to feature his five-year-old daughter as the subject. Over time I thought that through photography i'd learn something about myself, it seems i've learnt more about others, the good and the bad!